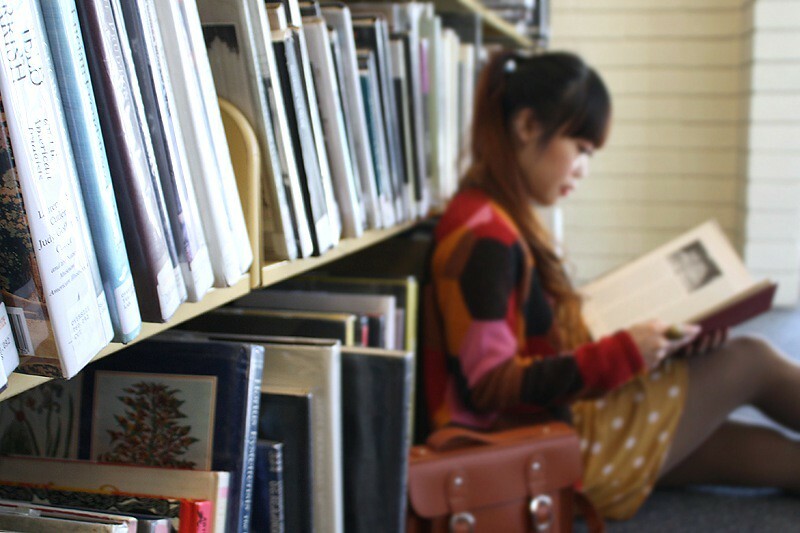 What a brilliant idea it was to shoot inside the library! I can't give myself credit for this one, it was my friend Natalie's idea, not mine! At first I was a little skeptical but I love how the photos turned out. 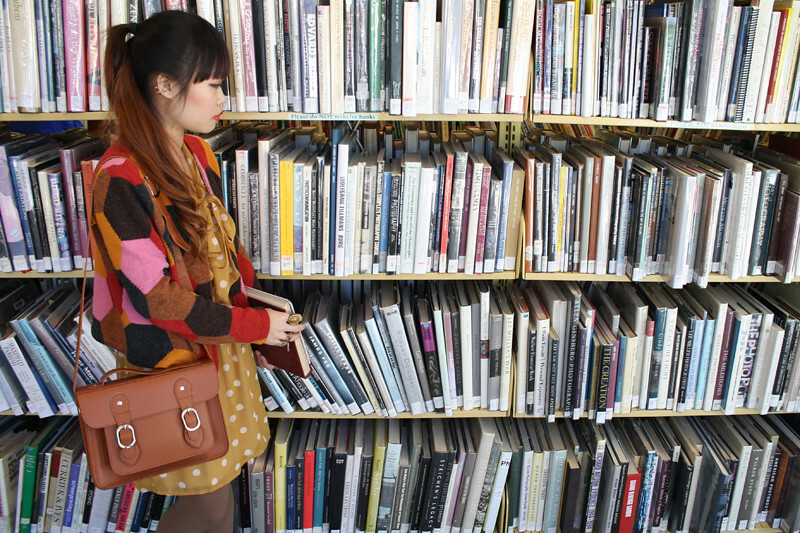 I wanted to wear something librarian-esque but more fun and bright to make sure I pop in front of rows and rows of books. 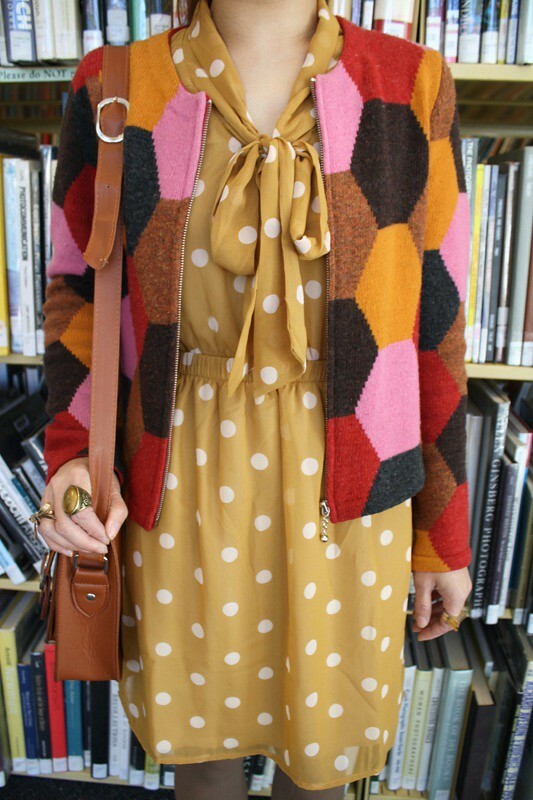 I wore this oh-so-amazing honeycomb like hexagon lambswool cardigan over a polkadots chiffon dress with an ascot bow, a leather bookbag, and some glittery oxfords! 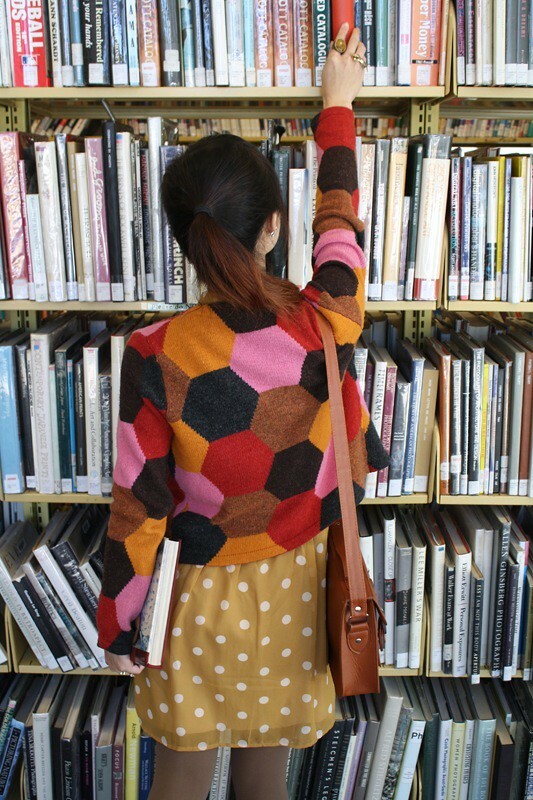 Vintage honeycomb hexagon lambswool cardigan by Susan Martin from Shop Worthy. Polkadots chiffon dress by Lush from my work Sway. Glitter bow oxfords by DV Dolce Vita from Karmaloop. 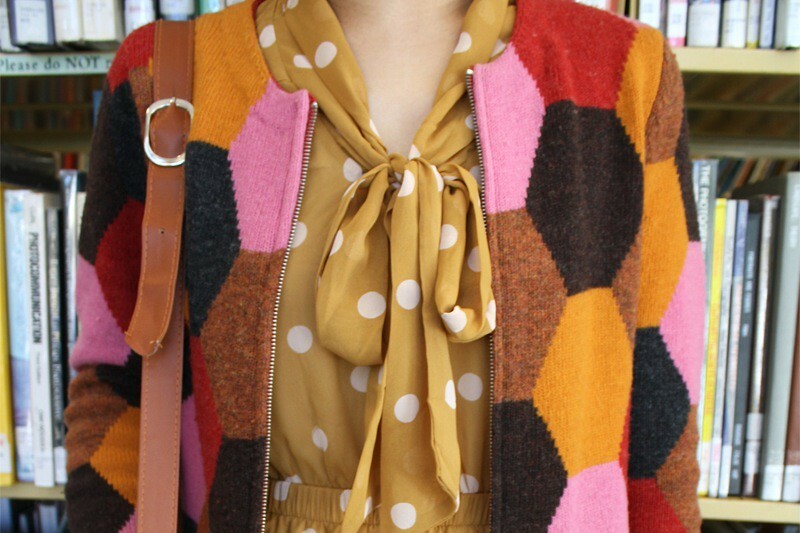 love the cardigan and oxfords... love the pics too! You style the best outfits! OMG Tosh these photos are amazing! This was such a great shoot idea. I adore your shoes! You have such a precious cardi!